Last year Milwaukee released ‘The Next Breakthrough’, a new batch of products powered by an 18V 12.0Ah Li-ion battery. 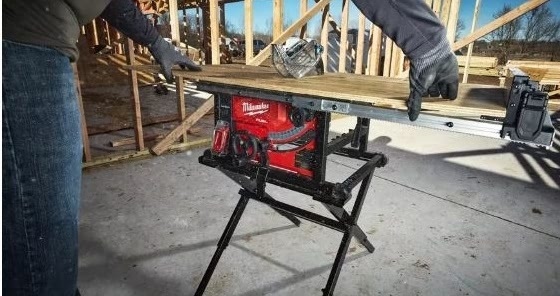 One of the most anticipated tools to arrive, featuring the 12 ampage battery and ONE-KEY, was the Milwaukee cordless table saw. This incredibly powerful and efficient solution is ideal for anyone wanting a superior cut to be done without the need for cords. In addition to the above, the saw encompasses Milwaukee’s next generation Powerstate brushless motor and Redlink Plus intelligence system. Consequently, it is Milwaukee’s most powerful motor, utilising higher grade magnets and 175% more copper vs previous motors. 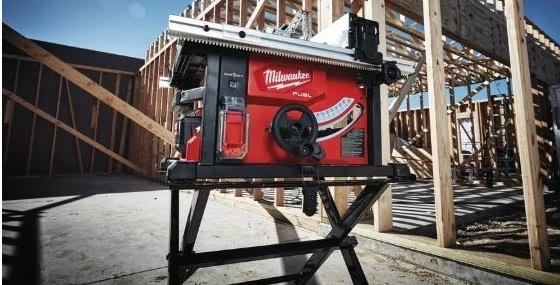 The Milwaukee cordless table saw boasts the power of corded along with the benefits of cordless. It allows you to plough through tough applications without the hassle of cords. Furthermore, its 12.0Ah battery provides superior pack construction, electronics and fade-free performance to deliver the most work per charge of any Milwaukee battery. Its durability complements the table saw perfectly. This level of convenience means users can push the table saw hard and work all day. Indeed, it delivers more work-per-charge than any other professional power tool system when paired with a 12.0Ah battery. In conclusion, the Milwaukee cordless table saw is a fantastic power tool for woodworkers and other professionals. When paired with a 12.0Ah battery you will be positively stunned by the ability and endurance of the saw, allowing you to work for hours on end without disruption. Additionally, ONE-KEY means you can track and manage it while keeping it secure. Check out the M18FTS210 at one of our showrooms. You can also see a live demonstration of it in action before making a decision on whether to add it to your own collection.We also host trade shows, such as the upcoming Midlands Tool Show where it will be on display and available to buy.